Title: Fear Grows in Brooklyn! Synopsis: Captain America spars with the Punisher as the lethal vigilante tries to ambush a meeting of two rival mob bosses in Brooklyn. 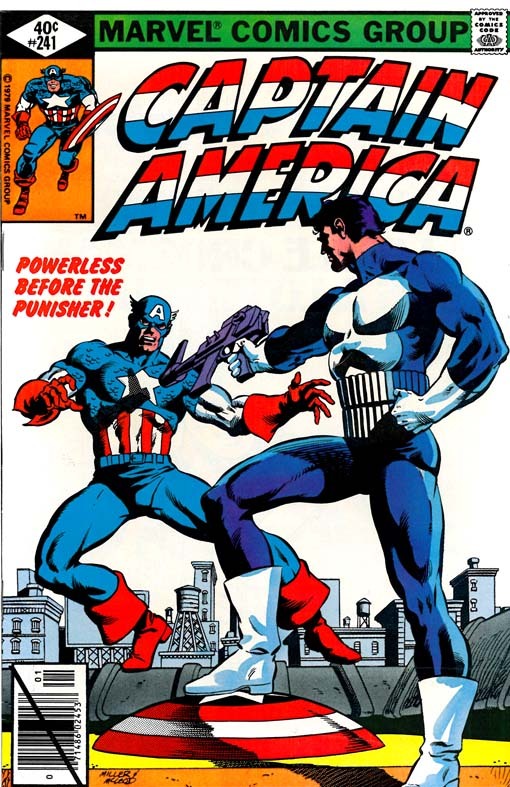 Cap notes, "We're...very much alike, the Punisher and I...Each of us are fighting a very personal war. But he's got to be stopped if we should meet again..." In his civilian life, Steve Rogers interviews for and wins a freelance art assignment at Non-Parallel Publications, which is a nod to one of Marvel's earliest publishers.